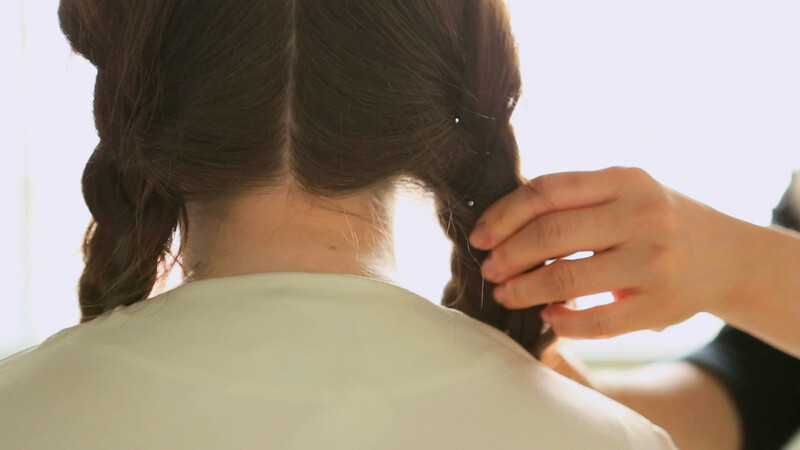 A braid appears to contain only two strands of hair. But it is impossible to create a braid with only two strands. If the two could be put together at all, they would quickly unravel. Herein lies the mystery: What looks like two strands requires a third. The third strand, though not immediately evident, keeps the strands tightly woven. In a Christian marriage, God’s presence, like the third strand in a braid, holds husband and wife together. “Unless the Lord builds the house, the builders labor in vain…”—Psalm 127:1. This entry was posted in Christian Living, Communion Meditations and tagged braided hair, Christian marriage, God and marriage, hair braiding, illustration, Psalm 127:1, unless the Lord builds the house, Valentine’s Day. Bookmark the permalink.